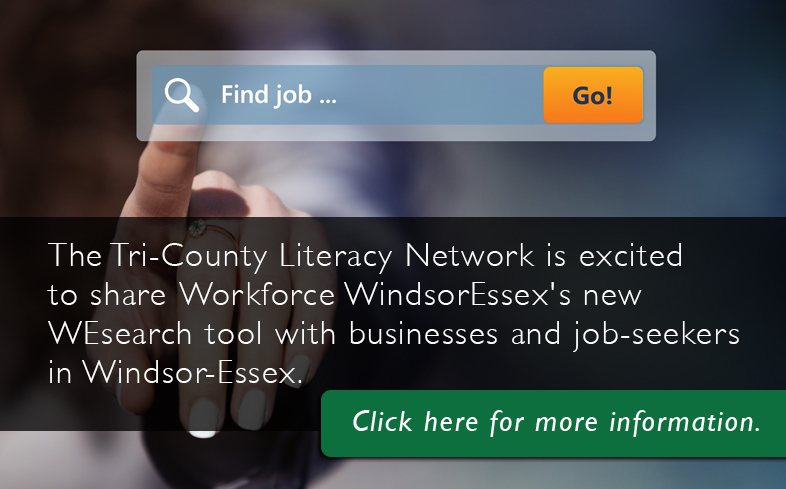 Click here to download the Tri-County Literacy Network Sarnia-Lambton brochure. What: Help with mathematics, reading, spelling, writing, and basic computer programs – for employment and independence readiness. Free one-to-one tutoring and small groups. Who: Adults 19 years of age and older. Start anytime; times to suit your schedule. What: Academic Upgrading Program for the purpose of entrance to post secondary education, apprenticeship or employment. Academic and Career Entrance Certificate (ACE) available. English, math, science, basic computers and employability skills. Who: Adults 19 years of age and older (some age exceptions apply) seeking entrance to post secondary education, apprenticeship or the workplace. Program attendance may be full or part time. Continuous intake. What: A program that empowers indigenous adults to achieve goals of greater independence, education and employment, through support and training. Who: Aamjiwnaang residents and surrounding communities, Adults 19 years of age and older. Tuesdays, Wednesdays and Thursdays, 9:30 am to 2:30 pm. Designated Wednesdays and Fridays for specialized programming.